I am the resident Christmas tree decorator - not my mom, not my dad, not my siblings, but me. All me. I guess my mother helps but usually the design part falls to me. We got a new tree and usually for us a new tree means new decorations (especially since it's much fatter and taller than our old one) but I wanted to experiment and make/re-use old decor - I just need to re-invent them in some way. Or something. So when I saw cardboard stars all over the net I decided to make my own. 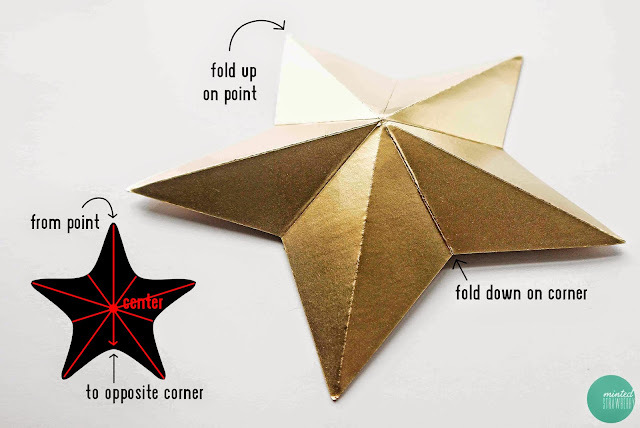 Making cardboard stars takes a bit of effort but then in the end, if you need more than 20, it's much more cheaper than buying giant stars for a buck each, right? Cardboard - from cereal boxes, store bought pizza box, etc. 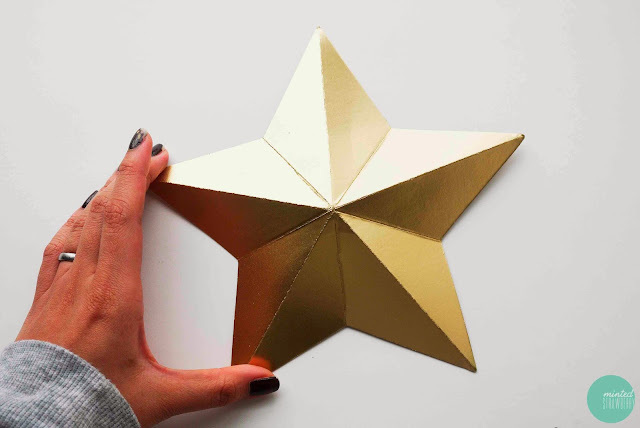 Template - there are tons of free star patterns on the internet! Print and cut your template and then trace onto your cardboard box. Cut that out after. I found it easier to cut with an X-acto knife. 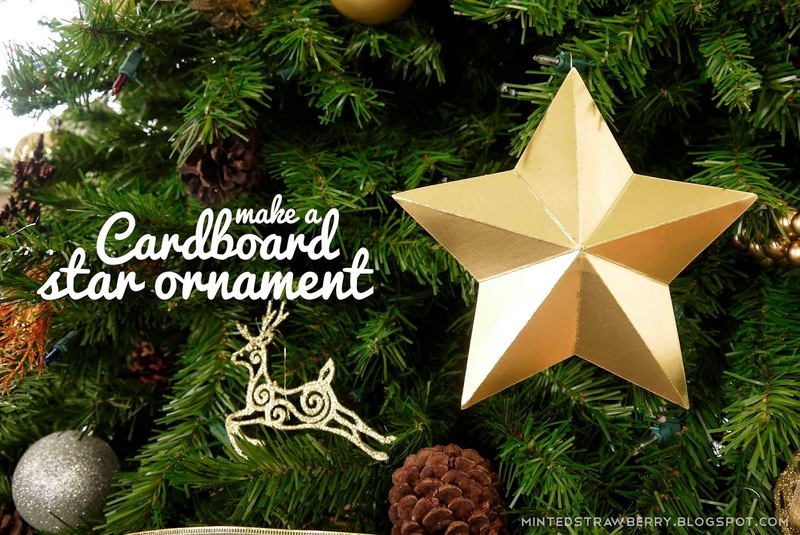 You may also use a die-cutter to cut up your stars. Note: Refer to the photo above! 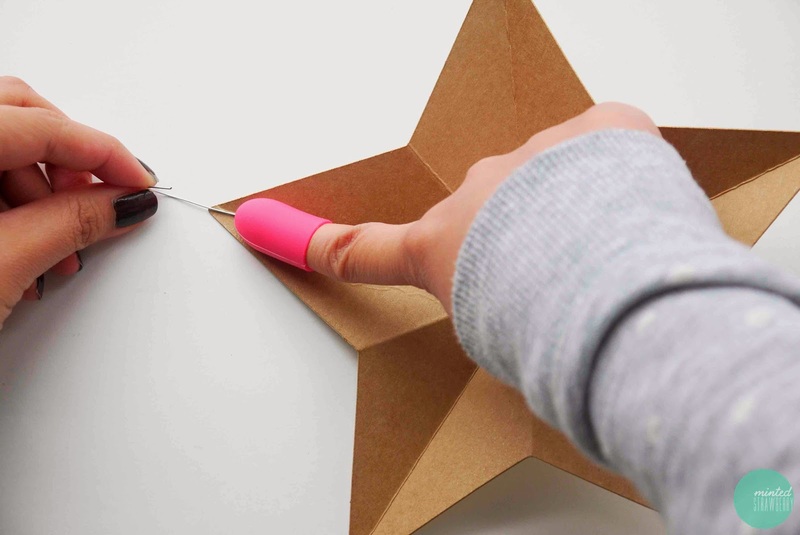 Score your lines from one star point to the opposite corner, scoring on the printed cardboard side. Important: Score and fold before painting your piece. Paint! 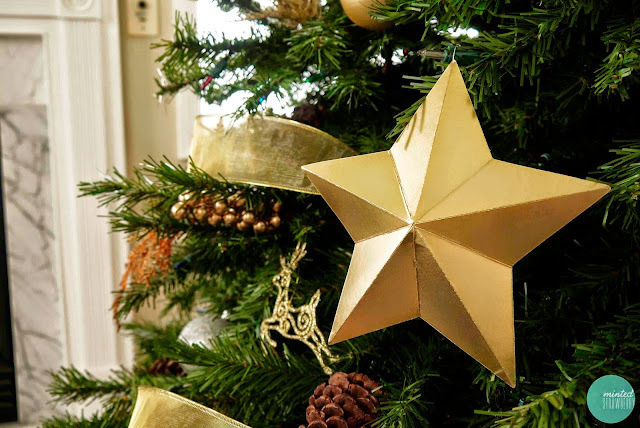 Since we're doing a gold/silver/copper tree, I chose to paint the stars gold. Yes, I am too predictable these days. Anyway, I chose to skip painting the backside since it won't really be showing, but if that bugs you, paint away! Next, glue an ornament hook to the backside of your star, preferably on the topmost point. I am so loving these hot glue finger caps (that I only discovered the other day) from Plaid - no more hot glue burns for me! 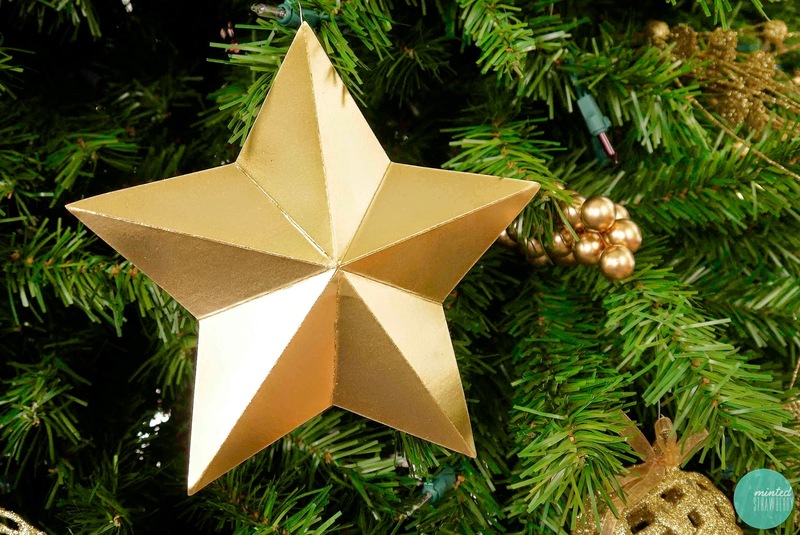 Anyway, secure your star onto the tree and you are done. I'd take a picture of the whole tree, but you know, I'm not yet done decorating. LOL. We decorate too early, I know. My dad actually wanted to set the tree up last month. We're weird like that. But we love Christmas so, yeah. I hope you loved this extremely easy tutorial and enjoy folks! These are great! I am probably going to have to make some. And I definitely need some of those finger caps. Genius! I am ALWAYS burning myself. Thanks Alexis! And I know right?! :D Apparently it's been around for a while too and I was like, why didn't I see them before..